The ‘Feminicídio’ Law as a mean to counteract the high rates of deadly violence against women in Brazil. Feminicídio is a Portuguese term to specify any murder committed against a woman motivated by her gender. Usually, it is associated with a last step form of control in abusive relationships and its defined by hatred or despise towards women. The term became popular with the sanctioning of the bill 13.104 of 2015 which edited the penal code to add this form of violence in the roll of the hideous crimes, giving it specific qualifications and a more severe punishment. Eleonora Menicucci, head of the Secretary of Policies for Women, introduces the subject in her writings as a hate crime. The term was created in the 70’s and represents a manifestation of inequality and institutional oppression of the female gender. As far as theoretical meaning goes, inside the umbrella of the terminology there are several other conducts that can lead up to the fatality. Lourdes Bandeira, Executive-Secretary of the Secretary of Policies for Women and PHD in Anthropology by the University René Descartes in Paris, describes the high rates as a constant state of civil war. The bill was first introduced to Congress by popular pressure and it was approved after several controversies around the theme were brought to surface. Despite the opposition’s critics of the measure, it was accepted as a firm mechanism to harshen the penalties regarding the murder of women. According to the Institute Avante Brazil, in the country at least one woman dies every hour, almost half of these cases occur through domestic violence. Statistics by the Latin-American Studies Center and the Latin-American University of Social Services reveal that there were 4.762 female murders in the country in 2013; around 13 per day; over 50% of these murders were committed by family members. Between the years of 1980 and 2013 the overall numbers for female murders was 106.093. The statistics for black women increased severely from 2003 to 2013, the map shows an increase of 54%; in the same period the number of white women murdered decreased 9.8%. Globally, Brazil is the 5th of 83 positions in the ranking of female murders. Considering a referential of murders per 100.000 women, the states with the highest rates were Bahia, Goiás, Mato Grosso do Sul, Rondônia, Tocantins, Pará, Distrito Federal, Espírito Santo, Alagoas, Pernambuco, Paraíba and Roraima, all with numbers of 6.50 per 100.000. The ones with rates lower than 4.50 were Santa Catarina, São Paulo and Piauí. The most important aspect of the introduction of the Feminicídio bill was that it brought the severity of the death reality endured by women in the country. The higher penalties are a way of consolidating the slow social realization of the female instability inside Brazilian culture. When the law named after Maria da Penha doesn’t act effectively to protect these women, the Feminicídio bill serves to ensure the punishments are cohesive. The institution of this mechanism functions to follow international tendencies. Currently, there are 15 Latin-American countries with some sort of specific legislation breaching the subject. It is a modern debate and Brazil has only recently begun to adapt to the new global reality. 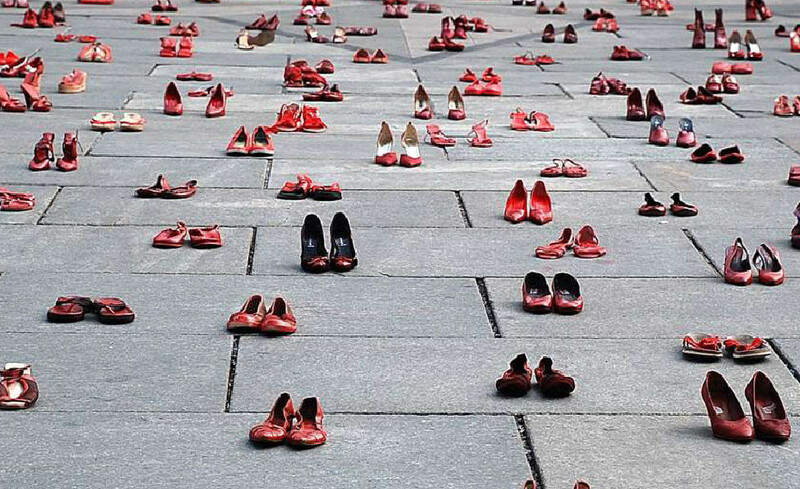 At the same time, the public policies and the legislation in place are not enough to ensure female safety; even with the advent of Maria da Penha, a law which could potentially identify the so called “announced deaths”, fails to do so actively. By bringing awareness of the gravity of the situation women are exposed to, it’s easier to draft comprehensive measures, empower the female population with the proper mechanisms of care and guarantee a significant change of social mentality in what regards the general responsibility to care for these individuals. When analyzing the Feminicídio law it is relevant to point out the importance of popular participation in the legislative process in this case. The recommendation by the Parliamentary Commission of Inquiry which studied, in 2013, violence against women around the territory and the popular pressure made the process of approval go faster. The CPMI was born from the National Plan of Policies for Women which established a National Policy for Combat of Violence Against Women, both entangled with the Secretary of Policies for Women; originally, the report given by the commission would analyze the progress of the National Policy and the results it presented since its elaboration. The National Policy includes several other policies including Maria da Penha, the Guidelines for Housing Women Subjected to Violence and the Technical Norms for Women Specialized Police Stations. All these policies are the steps behind the necessity for the Feminicídio Law; new and improved policies are necessary to guarantee women can be protected before any act is committed against them. Criminally charging the offenders can’t be the first and only step to achieve that goal.